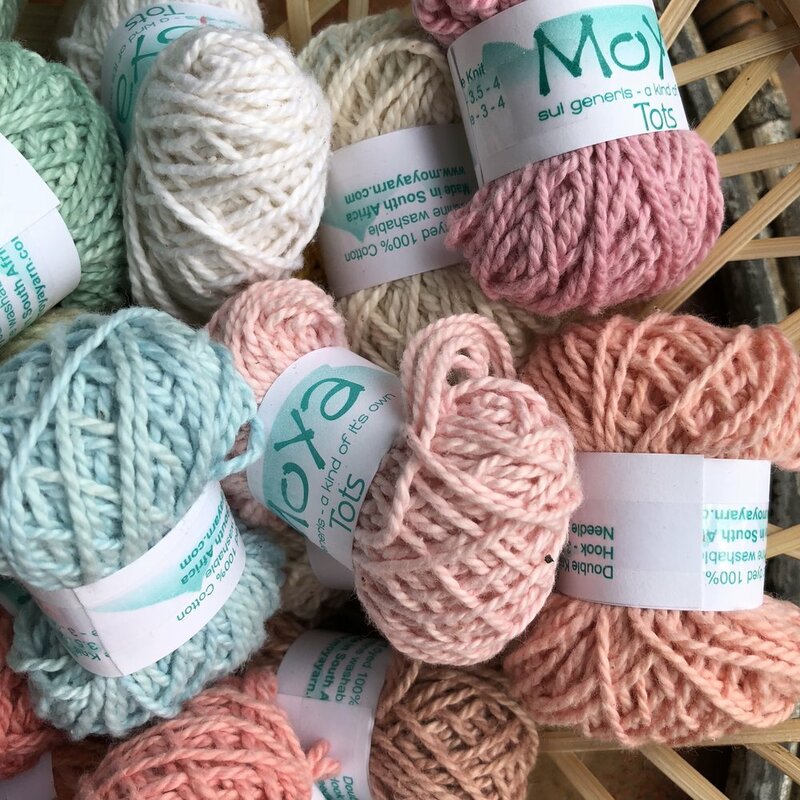 MoYa TOTS OMBRE are cute packs of 5 x 10g balls of either MoYa DK Cotton or MoYa Caresse. Choose from 7 different colour palettes, Winter, Nature, Earthy, Citrus, Candy, and Berries. They come packaged in little plastic packets. When ordering please specify which colour group you would like as well as which yarn base. Washing Instructions Hand wash or delicate cycle. Wash separately for the first wash as there may be slight residual surface dye. No bleach. Dry flat, do not hang or tumble dry. 100 x 10g TOTS per bag. Choose from either DK or Caresse, see above for yarn specs. Colours will be randomly chosen. You may get any colour from the yarn base colour range. These may include Confetti or Variegated colours from the DK range as well as dark colours from both ranges. You can break these up as you wish and are perfect for kits.